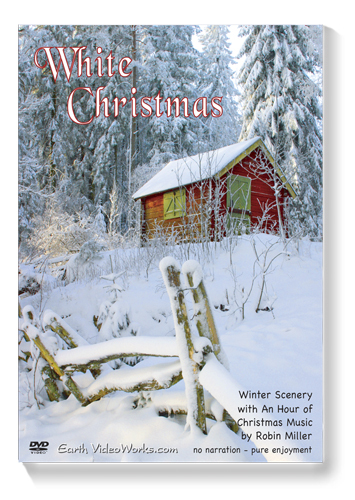 Over 130 Winter Scenes from some of the World"s Most Exotic Locations Come Alive with an Hour of Beautiful Christmas Music by Robin Miller. 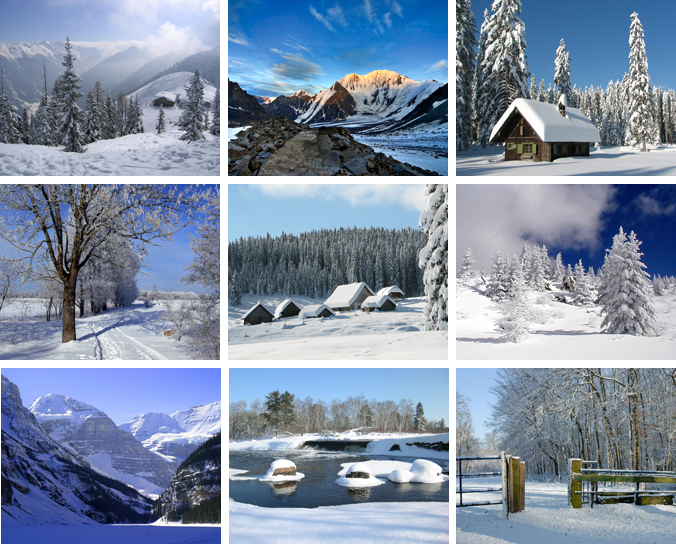 Visit Forests, Frozen Lakes and Streams, Mountains and Many Exotic Locations and View Them All with Fresh Fallen Snow! Over 200 Vintage Santa Postcards From Europe and America - Brought to Life with Falling Snow, Twinkling Lights, Glowing Candles, and Much More! An Ideal Background for Family Gatherings, Decorating The Tree, or Parties With Friends! Experience The Wonderment of Christmas with Nostalgic New England Snow Scenes Straight out of Currier and Ives. With a Background of Your Favorite Holiday Orchestral Music. Journey Underwater to a Realm of Peace and Tranquility Filled With Colorful Tropical Fish, Stunning Coral and Exotic Sea Life. Journey Into The Forest to a Realm of Peace and Tranquility Filled With Mysterious Fog-Surrounded Trees, Gently Flowing Streams and Magnificent Hidden Waterfalls.